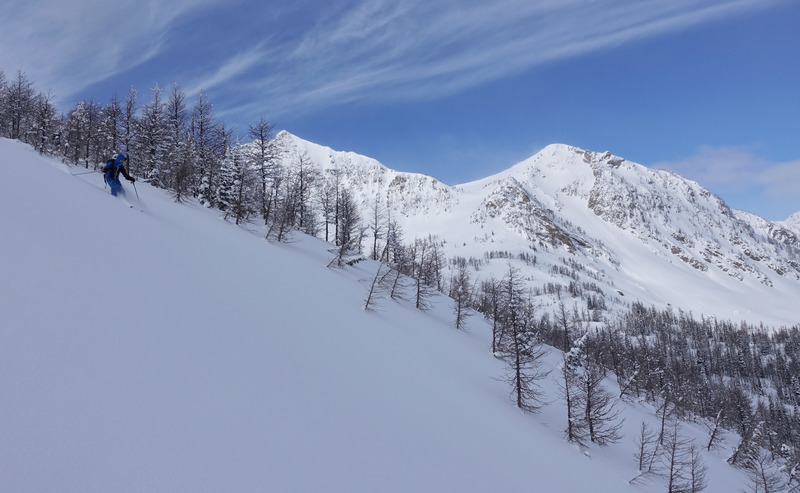 today we had good ski touring conditions in a north facing valley just south of Cliff Lake in the South Rockies. This area is located 24 km East of Cranbrook and 7km Southeast of Fisher Peak. We accessed the area by a short helicopter flight from Cranbrook. 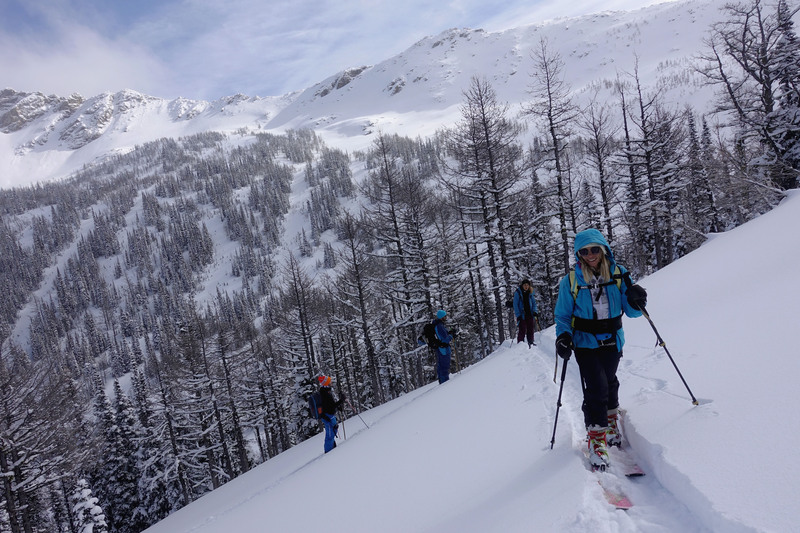 We skied between 2500m and 1900m on West, North and East aspects. Skies were scattered in the AM and overcast in PM with temperatures around -20C all day. Ridge top winds ranged from light to moderate out of the East. Ski quality at treeline was good to excellent with 30cm ski penetration in low density snow. Alpine ski quality was fair to good due to ongoing wind affect and transport. Test profile at 2250m on a North aspect showed moderate resistant shears down 35cm and hard resistant shears down 63cm. Height of snow at this location was 300cm. Snowpack depth in the Alpine was quite variable. 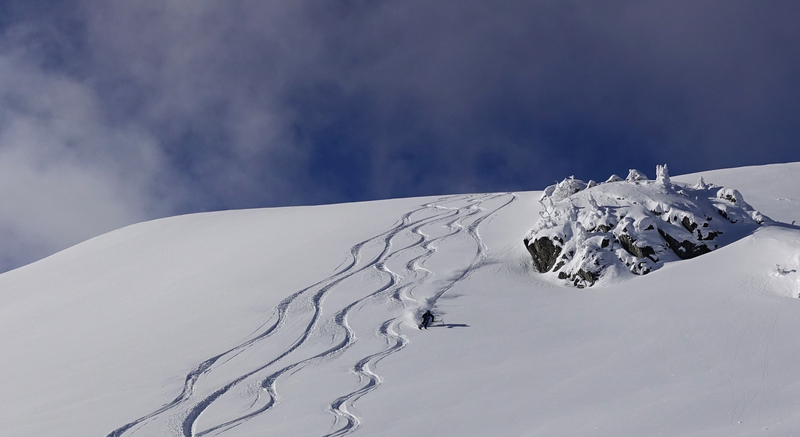 We saw a recent snowmobile triggered slab avalanche (sz 2) on a Northeast facing slope at 2300m. It appeared to be in a near surface instability 40-50cm down and looked to have occurred last week-end. We experienced some whumpfing while uptracking in shallow snowpack areas of the alpine and minor cracking in wind affected areas. All in all a very worthy little zone with fun varied terrain.